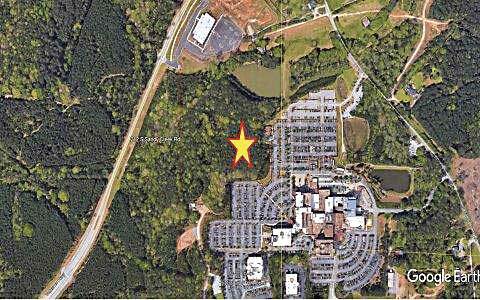 The star on the map above shows the location of the proposed parking area for Piedmont Fayette Hospital. Map/City of Fayetteville. A request by Piedmont Fayette Hospital to install a new parking area on the northwest side of the hospital property was recommended for approval Jan. 22 by the Fayetteville Planning and Zoning Commission. The project is one step in a process that will lead to the hospital’s expansion, including a future multi-story addition. The 22.6-acre property designated for 234 parking spaces is situated adjacent to the parking area located to the northwest of the hospital and is located between the hospital property and Ga. Military College property on Veterans Parkway. The hospital is requesting a rezoning from R-70 (single-family residential) to OI (office institutional) for a future hospital campus expansion, city planning staff reports said. The vote by the commission to recommend was unanimous, and will be on the agenda of an upcoming city council meeting. First up will be the new parking area, then a medical office building. The 24-foot access drive is shown on the conceptual site plan connecting to an existing curb cut located off of Veterans Parkway near the Georgia Military College Campus. The rezoning request will be heard by the Fayetteville City Council on Feb. 7. The hospital opened in Fayetteville in 1997. With 221 beds, Piedmont Fayette has more than 1,600 employees and a medical staff of more than 500 physicians. RaceTrac, Discount Tire retailers headed to Hwy. 85 N.
Two of the businesses coming to the new retail area on the former Satterfield property on the east side of Ga. Highway 85 North in Fayetteville across from Lowe’s will be a RaceTrac gas station and convenience store and a Discount Tire store. The site development plans for RaceTrac and Discount Tire were approved on a 5-0 vote at the Jan. 22 meeting of the Fayetteville Planning and Zoning Commission. The RaceTrac store will total 5,411 sq. ft. and will be situated on 1.87 acres along Hwy. 85 North. City planning staff said that, in addition to fuel sales, the store will offer typical convenience store items along with self-serve hot and cold food such as sandwiches, pizza and hot and cold beverages. Eight double-sided fueling stations are proposed, with the city code section 94-174.2 stating that there will be no more than twelve double-sided gasoline pumps within C-3 (Highway Commercial) zoning districts. The store will be open 24 hours a day, seven days a week and employee between 20 to 25 people. The Discount Tire store will will be situated on 1.1 acres along Hwy. 85 North, with the building totaling 7,680 sq. ft. The business wil employ 8-10 people. Business hours will be Monday through Saturday from 8 a.m. until 6 p.m. The two businesses will be situated on a portion of an 11-acre tract fronting Hwy. 85 North and previously approved for commercial use. The commercial property is part of the proposed 35-acre Satterfield mixed-use development that was rezoned in March 2018 from R-22 (Single-Family Residential) to the current C-3 (Highway Commercial) and R-THC zoning classifications. The Planning and Zoning Commission granted a special exception to allow convenience stores with fuel sales to the applicant in August 2018. A private medical helicopter transport facility has been approved for Fayetteville’s north side near the Fayette Pavilion. Fayetteville Planning and Zoning commissioners on Jan. 22 approved a special exception for Air Evac to install a helicopter pad, maintenance bay and staff quarters on 1.9 acres on Promenade Parkway behind the Uptown Square Shopping Center. Zoned highway commercial and light manufacturing, the property is situated on the east side of Ga. Highway 85 North, across the highway from the Fayette pavilion. 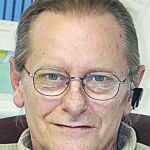 A special exception was required because the proposed use (emergency medical air transport) was not listed as an approved or prohibited use in any of the city zoning designations, city planning staff said. The vote to approve the special exception was 5-0. One helicopter will be located at the base, and Air Evac budgets for 30 flights per month. This averages to one flight per day, however some-days may see more, and some days may have zero flights as this business operates on an as needed basis 24 hours a day, seven days a week, according to Air Evac. The company said there are three crew members on base at all times and the base manager stops by periodically. On-duty staff will include a pilot, nurse and paramedic. City staff said the nearest residence is 650 feet away. Data on noise levels generated by various helicopter models was provided. The decibel level on flyover, take-off and approach ranged, depending on the model, from 85.2-95.6 decibels. A lawnmower generates 90 decibels. There will be a new office building coming to Togwatee Village, situated on the west side of Togwatee Village Parkway. The Fayetteville Planning and Zoning Commission on Jan. 22 unanimously approved development plans for a one-story office building totaling 8,364 sq. ft. situated on 1.69 acres. City planning staff said the existing water, sewer and storm pipe installations will remain. The existing parking surface will be modified to accommodate the design with only minimal demolition and reconstruction required. Parking has been reduced from the original 69 spaces to 48 spaces, decreasing the total impervious surface calculations from the 48 percent approved in 2007 to 39 percent, staff said. The property is zoned C-3 (highway commercial) and is part of the overall common development including Togwatee Village and Emory Springs Subdivision approved in 2007.